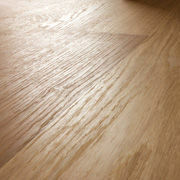 Kahrs hardwood flooring is engineered to be beautiful, non-toxic and sustainable. It comes in a wide variety of styles, stains, species and surface treatments which allows you to choose the floor that's just right for you. Prices range from about $3.99/SF to $11.99/SF. With so many options, our Buyers Guide was designed to help you sort through all the details. In Sweden, 72 years ago, Kahrs invented the first floating floor with their patented parquet technology. This multi-layered, cross-ply system counteracts the natural movement of the timber. By varying the direction of the fibers throughout the various layers, the floor is less affected by changes in humidity and is more stable and long lasting. All Kahrs surface treatments are solvent-free and contain no hazardous chemicals. In 1984, Kahrs was the first flooring manufacturer to implement an entirely solvent-free production process. Then, in 2000, Kahrs introduced the world's first glueless joint system called Woodlock which makes it easy for DIY installations.Today, Kahrs is the premier leader in engineered hardwood flooring throughout the world and is now the largest manufacturer of flooring in Europe. As you're probably aware, Europeans are concerned about health and sustainability. 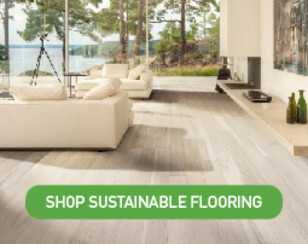 Not only should the floors perform well in any climate and condition, but they need to be as healthy as possible and manufactured in a sustainable manner--using the least amount of energy, paying fair wages and producing the lowest impact on the environment as possible. The climate in Sweden is similar to the Midwest in terms of hot, damp summers and cold, dry winters. In response to the challenging environment and the lifestyle of the Swedes, Kahrs designed a floor that was not only non-toxic and safe, but would adapt to their climate and their radiant heated floors. 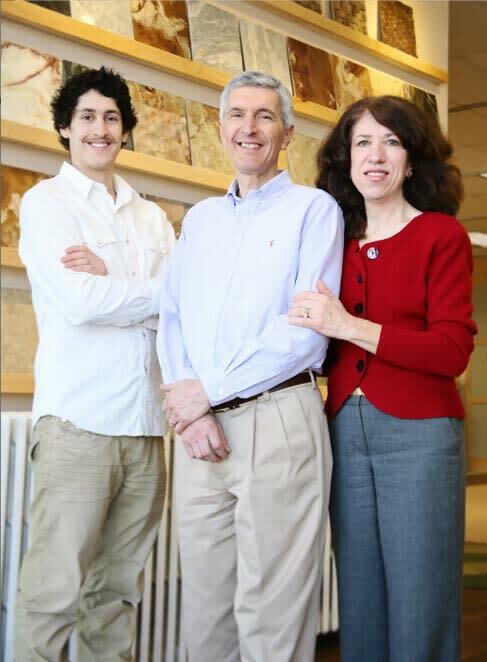 Our experience with Kahrs flooring over the last 18 years has proven its versatility and durability in all climatic regions of the US; from exceedingly damp places like the Gulf Coast or upper Northwest to ultra dry areas of the Southwest or mountainous regions. It does not split, crack, or warp as long as it's installed and maintained properly. 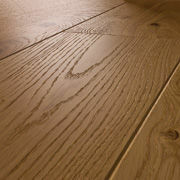 Unique 3-ply engineered flooring designed to be perfect, stable and long lasting. Most people start by looking for the best-looking products at the best price. While this is natural, it may not always result in the right product. Due to the variety of Kahrs products, a search for a $5/SF floor, for example, will result in dozens of matches but will not provide other important criteria such as whether the design matches your architectural style, lifestyle or long term goals. It's always best to learn about all the features you're buying and why they cost what they do. TIP: If you like a 1-strip product but can't afford it, there's usually a similar look in a three strip version which costs less, or in a thinner collection such as the Sonata Collection. 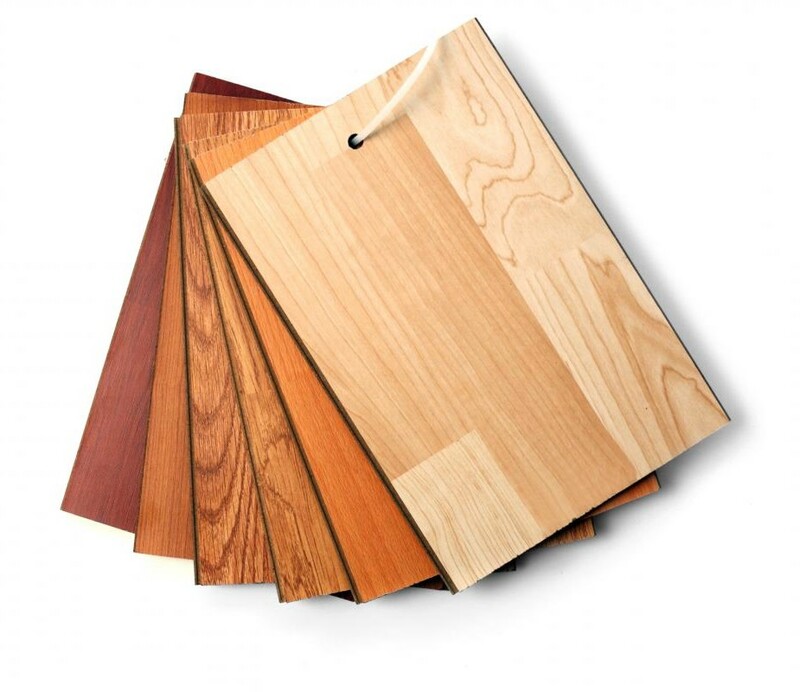 TIP: 3-strip products are usually much busier looking than 1-strip, except for those with darker staining which hide variations in color and grain pattern and provide a more uniform look. Thickness can tell you a lot about a floor. Kahrs products come in a range of thickness from 15mm ($$$$ most costly) to 10mm ($ least costly). In general, thicker products cost more and have more features than thinner products. 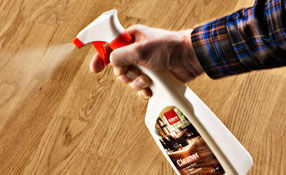 Thicker products may also last longer since they can be sanded more times extending their useful life by many years. 3-strip, 2-strip and 1-strip all come in both thick and thin versions. TIP: A thicker floor is stiffer and will spread the load better (deflects less) than a thinner floor. 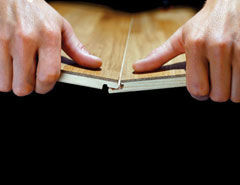 Therefore, if our subfloor is rougher, a thicker floor will accommodate imperfections better. Kahrs tolerance for bumps and dips is 3/16". Any more requires sanding or patching. 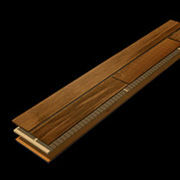 Wood species that are harder are more sought after and usually more expensive. Hardness rating vary slightly between the Janka scale and the Brinell scale but they do give a good indicator of price and durability. 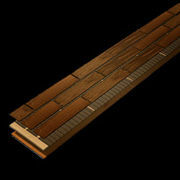 Exotic woods like Brazilian Cherry, Jarrah, Cumaru etc. are the hardest and usually cost the most. 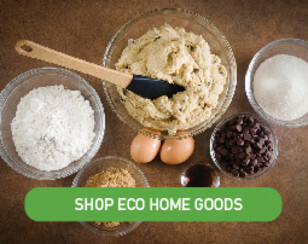 Walnut, Maple, Beech and Ash cost less. 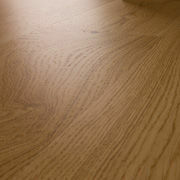 With the exception of Walnut and Beech, they are slightly harder than White or Red Oak. 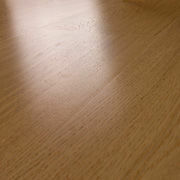 White and Red Oak are usually least expensive. Hickory is one exception to the hardness rule because it is very hard, but much less expensive. Hickory is only found in the Spirit Collection. 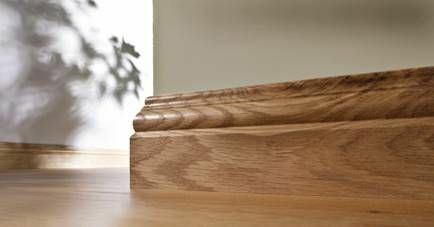 TIP: A 1-strip product usually costs more than a 3-strip in the same species; however, a 3-strip Brazilian Cherry can cost more than a 1-strip Oak. 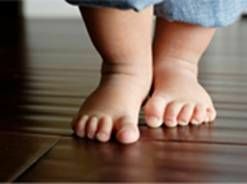 A combination of wood's structure, hardness and finish determines how durable a floor will be. The hardness of the wood varies according to the species. Kahrs uses the Brinell method. The higher the value, the harder the wood and usually the higher the price. However, due to the structure and finish, large variations in overall hardness can occur. Here is where the Kahrs' price algorithms start to get complicated, so please bear with me. Below are four basic treatments in order of highest price to lowest. TIP: Here's where your lifestyle choices make the most difference. Let your practical nature speak out. This is the time and place to get real. It doesn't have to dominate all other features, but it should weigh heavily in your consideration. We highly suggest you test several samples if you've never seen or touched these finishes before. They're very different from one another. 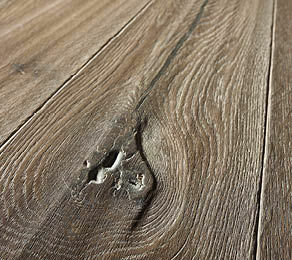 Wire-brushed and Hand-scraped finishes highlight the natural grain and add texture. This is usually done with deep beveled edges and costs more than smooth finishes. Knots and cracks also cost more due to the extra work in filling and sealing them. A smooth finish with beveled edges accentuates each individual board and gives a more distinct elegant look. Bevels vary in degrees from micro-beveling to stronger deeper bevels to provide a rustic robust appearance. Beveled products are usually more expensive than square edges. 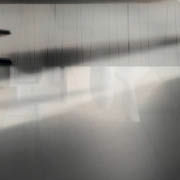 A smooth finish with square edges, accounts for 70% of all collections, creates a modern look and is least expensive. Staining enhances the natural color tones and provides a completely unique look and feel. Staining blends natural variations in color so the boards look more uniform. Another benefit is that darker stains resist UV fading better than natural finishes. Stains usually don't add much to the cost. TIP: Some rustic looking finishes such as hand-scraped, wire-brushed and knots are also available less expensively in the Spirit Collection. High gloss finishes will show scratches and smudges more than all others. Dark stained floors show dust and smudges much more than light wood floors; they clean up well, but may require more frequent care. Silk Matte finish shows dust and scratches less, especially on lighter colors. Nature oil shows the least dust or scratches and also repairs easier. Beveled edge floors clean just as easy as micro-beveled or square edged. Use bevels if the theme of your home and is more elegant and traditional. Use square edge if your theme is more modern. Filled knots and cracks don't fill with dirt and clean fine. TIP: Reparability is the new sustainability. A floor that's easy to repair with a little oil is more sustainable than one that needs to be completely refinished at great cost (and mess) every few years. Follow Kahrs maintenance instructions for best performance. Woodlock 5S system. Whether your subfloor is made of concrete or wood, or even has vinyl sheeting, a Kahrs hardwood floor will float perfectly over it. Kahrs patented Woodlock 5S mechanism is precisely engineered to click together and float over an underlayment without glue or nails. This is the gold standard for DIY installation. The new Woodlock 5S system allows you to literally drop each plank into place and lock in the next plank with very little effort. It's a floor that's hard to install incorrectly. Saves time and money. 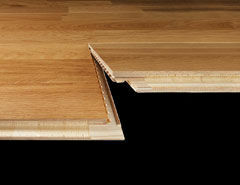 Compared to nail or glue down floors, a Kahrs floating floor installs in 1/3 the time and at 2/3 the cost. If you do it yourself, you'll save much more. DIY. With a little help from your friends, you CAN do this by yourself if you're handy and have some tools. If you need assistance, we're only a phone call away. We've walked hundreds of homeowners through installations, with very good success. Glue down should you desire.This is not as easy as floating and it requires a urethane type adhesive (FloorSecure, Bostics Best, etc.). Please see installation instructions for more details. Designed for radiant heat. Kahrs was the first floor to be fabricated and warranted specifically for use over hydronic or electric radiant heated subfloors. Please see installation manual for specific guidelines. 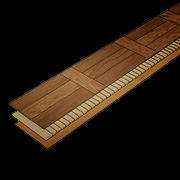 Kahrs recommends the Original 15mm flooring with Woodloc 5S over any suitable subfloor with radiant heating. Note: Maple and Beech species are not recommended over radiant heat as they tend to expand and contract more than other wood species. No acclimation. While the floor prep and humidity control must be carefully organized prior to installation, there's zero time lost in acclimation. Unlike most flooring which requires days and sometimes weeks to acclimatize, Kahrs maintains a strict policy of removing the planks from the box and installing immediately. Superb installation manual. 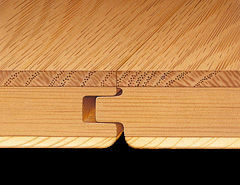 Kahrs offers the most extensive 19-page installation manual of any wood flooring manufacturer. It explains and shows visually, in step-by-step detail, exactly how to install the floor; and if read carefully, will help you install your floor with the same perfection as the pros. A good installation manual tells you a lot about a company and their commitment to perfection. Take a look at most two-page manuals from other manufacturers and you'll immediately notice the difference. 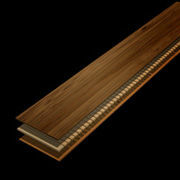 Kahrs makes a complete line of matching moldings and thresholds. These include: Wall base, quarter round, stair nosing, overlap reducers, T-molding and square nose reducers. Images of these and their dimensions can be found in the installation manual, at the very end of the document. Now that you've read about the various features and how they affect prices, here are some of the best practices for choosing the right model, in order of priority. These priorities can be changed; they are our recommendations based on years of experience designing 500+ homes. TIP: First, pick a style that matches your theme and stick to it. With Kahrs, the name of each series gives a clue to the style that will best fit. 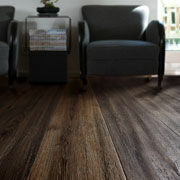 If your home is a colonial style, you don't want a rustic hand-scraped floor that may work better in a Montana theme. If your home is contemporary, for example, a square-edge, smooth look may suite you better. Supreme Series - 5/8" thick, re-sandable 2 times, 25-yr warranty, exquisitely crafted with extra detail on the finish for a high end appeal. 1-strip with Woodloc 5S (Shine) and tongue and groove (Elegance). Prices start at $10.99/SF. All are via special order. 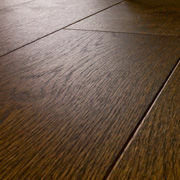 Elegance Collection - ultra high end traditional Dutch pattern (see below) in natural brushed, oiled and/or smoked finish. Original Series - 5/8" (15mm) thick, re-sandable 2 times, 25-yr warranty and suitable for a wide range of residential and commercial applications. 1, 2,and 3-strip with Woodloc 5S. Prices start at $5.50/SF. Avanti Series - 1/2" (13mm) thick, resandable 2 times, 25-yr warranty and our most popular wood species and grading in 3-strip flooring. 3 layers with Woodlock 5S. Prices start at $4.51/SF. Spirit Series - 3/8" (10mm) thick with HDF core, resandable 1 time, 20-yr warranty, beautiful 1 strip appearance for all design applications. 3 layers with ECO core and Woodloc joint system. 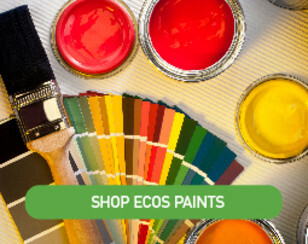 ECO core is a high density fiberboard that has no added urea formaldehyde. Prices start at $4.99/SF.